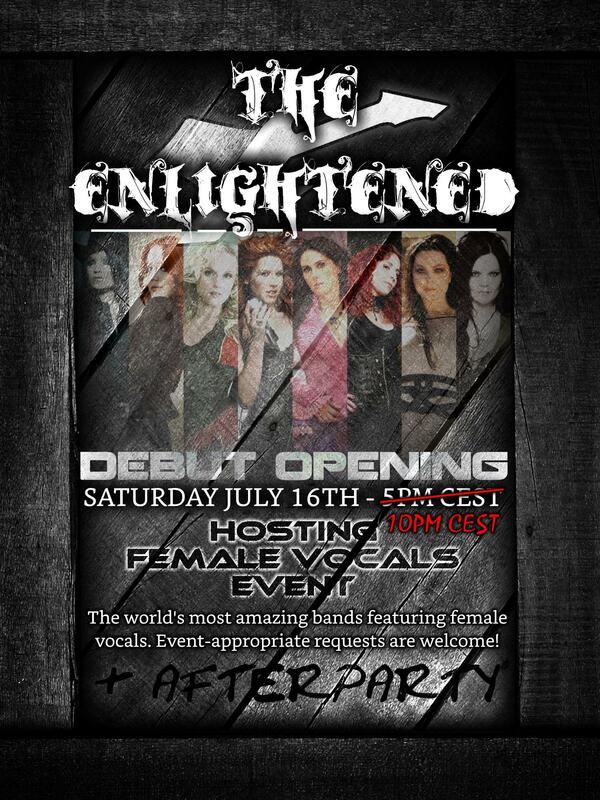 "The Enlightened" Rock Café Presents - Female Voices Event! "The Enlightened" Rock Café is opening up with a bang and presenting our very first event: "Female Vocals", featuring bands from all over the world featuring female singers! The event takes place on Saturday July 16th at 10PM CEST! Event-appropriate requests are definitely welcome! If you wish, leave your band and title in the comments below and see it featured during the event! Hopefully I will be seeing you there! If you have any ideas for a future event, wish to stream during a regular opening or have any comments or questions, feel free to post them in the comments below and I'll do my best to respond as quickly as possible!